VMware Cloud on AWS is now available in Amazon Web Services’ (AWS) Asia Pacific (Sydney) region to serve customers across New Zealand and Australia. 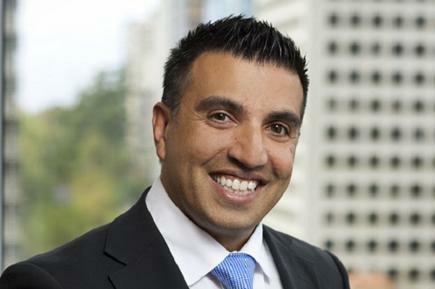 “In just under a year since launching VMware Cloud on AWS, we have met our goal of making the service available in all geographic regions around the globe, while increasing the rate at which we deliver innovative capabilities and powerful solutions for our customers,” says Alister Dias, vice president and managing director, VMware Australia and New Zealand. VMware and AWS announced the capability in October 2016, but the service became available in August last year. Dias says now that this service is available in the Asia Pacific region, local customers will find it easy to migrate to VMware Cloud on AWS. He says the service provides enterprises with the fastest and most cost-effective way to migrate their mission-critical applications, or even entire datacentres, to the cloud. “Once in the cloud, we provide the industry-leading software-defined datacentre capabilities of VMware, coupled with the elasticity, breadth, and depth of AWS infrastructure and services, making it the ideal platform for modern applications,” says Dias. VMware announced the availability of VMware Cloud on AWS in the Asia Pacific region at the VMworld conference, which is being held this week in Las Vegas. Analyst firm Gartner describes VMware Cloud on AWS as a ‘VMware as a service’ capability using AWS datacentres and AWS equipment. The offering uses VMware Cloud Foundation (VCF), a cloud-inspired infrastructure created using vSphere, vSAN and NSX. 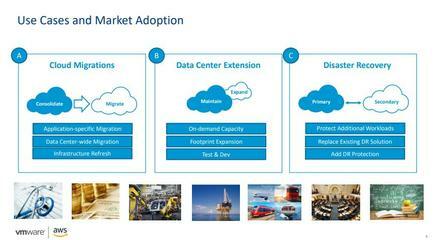 It is delivered as a cloud service, but it is not cloud infrastructure as a service (IaaS) as defined by Gartner. Early this year, a Gartner report assessed the design and impact of the service. VMware Cloud on AWS provides on-demand dedicated servers, software and storage, instead of instances or VMs, according to the report written by analysts Alan Waite and Angelina Troy. It is sold by VMware and while the service has AWS in the title, Gartner says users will not interact with AWS support while using it unless they wish to connect the VMware Cloud on AWS hosts to their native AWS instances and services. The environment is provisioned, supported, billed, patched and managed by VMware. 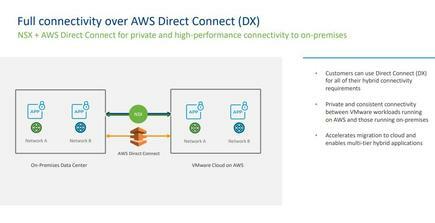 Support for the end user is delivered by VMware, not AWS. Gartner: Ownership of each part of the stack is an important factor to consider for the VMware Cloud on AWS service. 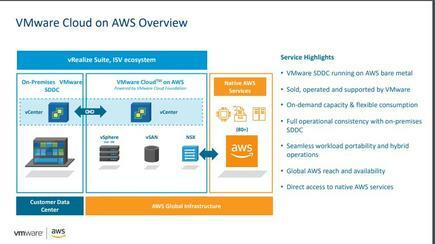 Gartner says some of the major requirements that will drive VMware Cloud on AWS use cases are flexible VMware-based capacity (fast addition and removal of hosts); use of existing VMware images, templates, tools and management processes; addition of new infrastructure without growing on-premises footprint, or as a way to exit or consolidate datacentre assets and expansion to new geographic locations without building new datacentres. It advises organisations to choose the service “when the costs and capabilities of the service are more attractive than the alternatives of public cloud IaaS, on-premises hardware, co-location or hosting solutions”. ME, a digital bank created and owned by 26 industry super funds in Australia, is one of the organisations in the early access programme for VMware Cloud on AWS. 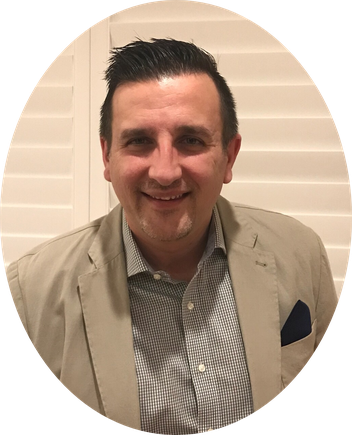 “One of ME’s key focuses is on consistently delivering frictionless, personalised banking services that meet our customer promises,” says Sunny Avdihodzic, GM strategy and architecture at ME. Sunny Avdihodzic, ME Bank: "This opens opportunities for the bank to explore further use cases such as disaster recovery." 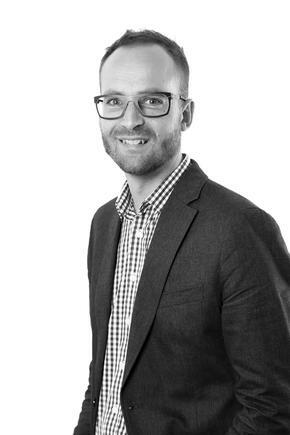 “Using the technology as a competitive differentiator to support our customer centric approach and building a market leading customer experience is really important and technology is one of the key enabling blocks to enable that,” says Avdihodzic, on the business driver for joining the early access programme. He says this opens opportunities for the bank to explore further use cases such as disaster recovery. 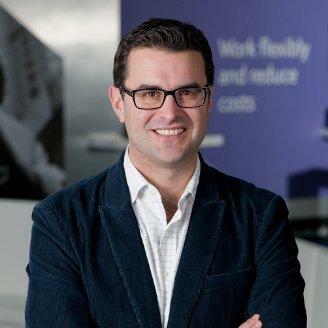 “ANZ enterprises have been asking us for some time to bring VMware Cloud to the AWS Sydney Region, as it will enable them to rapidly migrate a wide range of applications to AWS, while retaining the benefits of their existing relationship with VMware,” says Paul Migliorini, AWS managing director, Australia and New Zealand. Paul Migliorini, AWS: "Our customers are seeking to innovate faster, leverage power of their data, remove friction of legacy platforms." He says the launch in the Asia Pacific region means Revera can now easily meet the needs of their VMware-based customers who are interested in moving services to the public cloud, by providing a flexible, consistent hybrid environment. In the public sector, he says the discussions were around how this can help provide better services but reduce complexity and time to get it going. 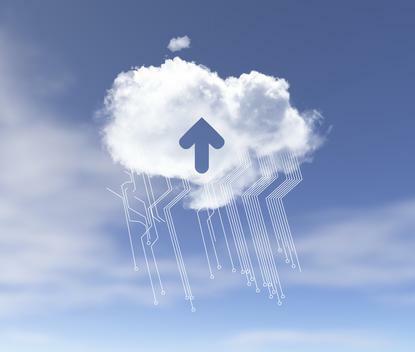 Darryn McCoskery, general manager, Rackspace in Australia, says the launch of VMware Cloud on AWS also represents a significant opportunity for their customers. "We can now deliver a broader, more compelling offering to integrate into their transformation strategies,” says McCoskery. 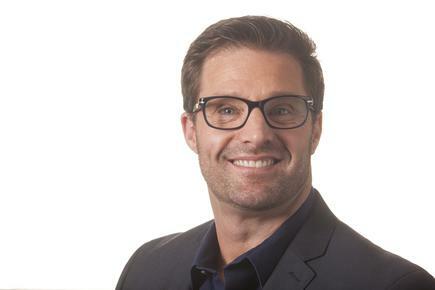 Darryn McCoskery, Rackspace: "This gives organisations the ability to consume the best of both private and public cloud, at scale, while still addressing concerns around compliance, risk and security." VMware, meanwhile, says a growing number of its partners are already helping customers deploy hybrid cloud environments using the VMware Cloud on AWS service. In less than six months since launching the expansion of the VMware Partner Network, nearly 150 partners have achieved their VMware Cloud on AWS Solution Competency. These include 15 partners from Australia and New Zealand, says VMware. 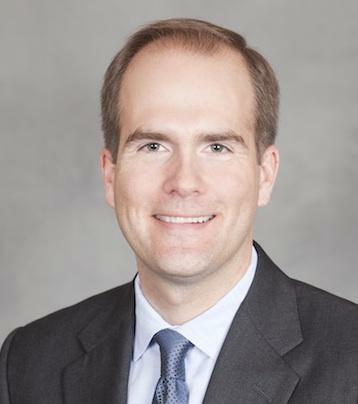 Mark Lohmeyer, senior vice president and general manager, cloud platform business unit at VMware, reports on some updates for VMware Cloud on AWS. 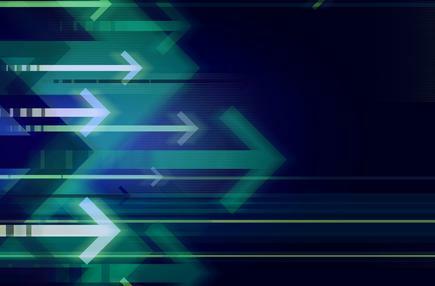 Reducing the entry price by 50 per cent and offering a smaller three-host minimum SDDC configuration as a starting point for production workloads. License optimisation for enterprise applications (Oracle/Microsoft): With new custom CPU core count capabilities, customers will be able to specify just the number of CPU cores they need, reducing the cost of running mission-critical applications that are licensed per CPU core. With VM-Host Affinity, customers will be able to pin workloads to a specific host group to support licensing requirements. 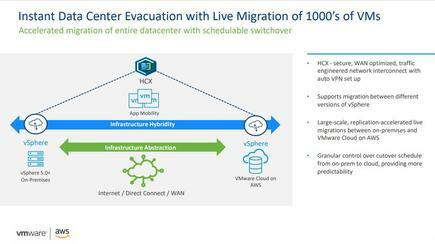 Instant datacentre evacuation with live migration of thousands of VMs: Customers will be able to live migrate thousands of VMs with zero downtime, and schedule exactly when to cut over to the new cloud environment with VMware NSX Hybrid Connect (previously known as VMware Hybrid Cloud Extension). New high-capacity storage option, backed by Amazon Elastic Block Store (EBS): Customers will be able to independently scale compute and storage resource requirements, and reduce costs for storage-capacity demanding workloads with new clusters for storage-dense environments. 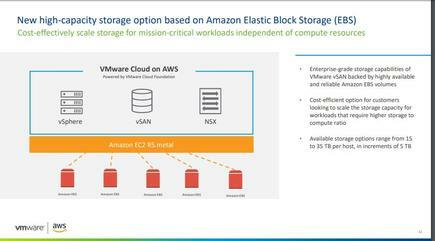 Application-centric security with VMware NSX: Customers will gain granular control over east-west traffic between workloads running in VMware Cloud on AWS through micro-segmentation provided by NSX. Security policies can be defined based on workload attributes and user-defined tags, are dynamically enforced at the VM-level, and follow workloads wherever they are moved. Optimised cost/performance with auto scaling: Elastic DRS enables automated scaling up or scaling down of hosts and rebalancing of clusters, based on the needs of the applications and the policies the customer defines. VMware has also added VMware Log Intelligence to the core service. This will provide customers with access to VMware Cloud on AWS audit logs for increased security and compliance at no additional cost.